Bruising egos! 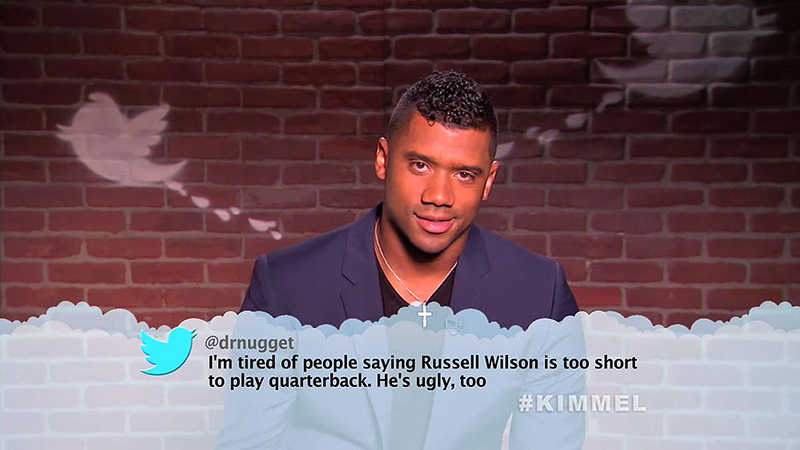 Russell Wilson, Tony Romo and J.J. Watt were just some of the footballers who had to endure rude comments in part two of Jimmy Kimmel&apos;s Mean Tweets NFL edition. Watch the video above! The Jimmy Kimmel Live host, 49, released the new hilarious clip during his late-night show on Thursday, February 2. Some players laughed off the teasing while others hit back. Wilson, 28, for his part, shrugged and went silent. "I&apos;m tired of people saying Russell Wilson is too short to play quarterback," he read. "He&apos;s ugly, too." Watt, 27, meanwhile, was compared to a fellow celebrity. "JJ Watt kinda looks like a fat @macklemore hahaha," one commenter wrote about the Houston Texans defensive end. Most tweets were filled with expletives and random scenarios. 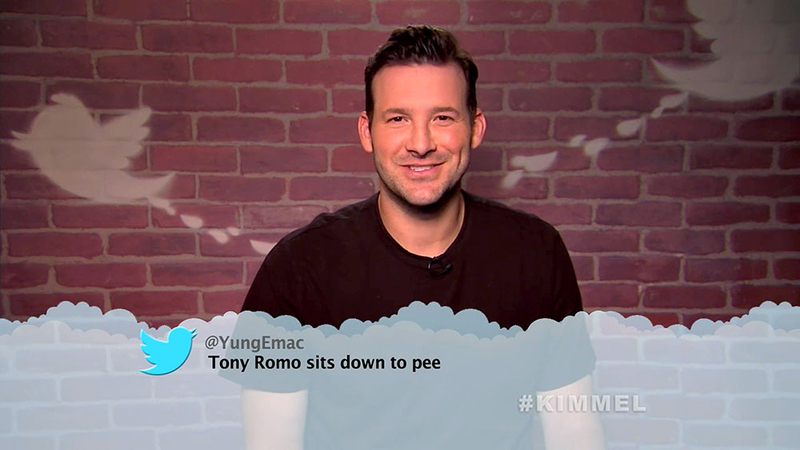 "Tony Romo sits down to pee," another person tweeted. Romo, 36, replied: "Well, what other way is there to pee?" Kimmel&apos;s segment helped to prove one thing, though. Rob Gronkowski can read! 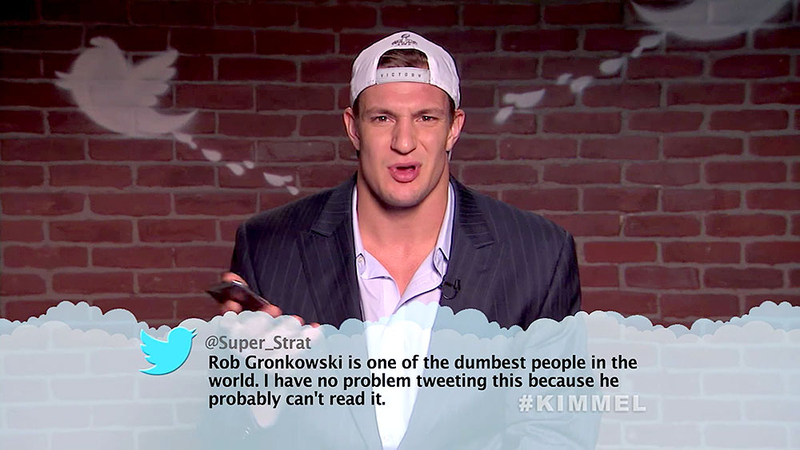 "Rob Gronkowski is one of the dumbest people in the world. I have no problem tweeting this because he probably can&apos;t read it," the 27-year-old New England Patriots tight end read. Other stars that rattled off mean tweets included Odell Beckham Jr., Kurt Warner, DeMarcus Ware, Maurice Jones-Drew, Von Miller, Michael Irvin and Joey Bosa.